The new Erasmus Mundus European Master in Lexicography (EMLex) is now available for all new international students. Erasmus Mundus applicants have the opportunity to name their preferred choices for their home university; the selection committee distributes the applicants equally to the partner universities. 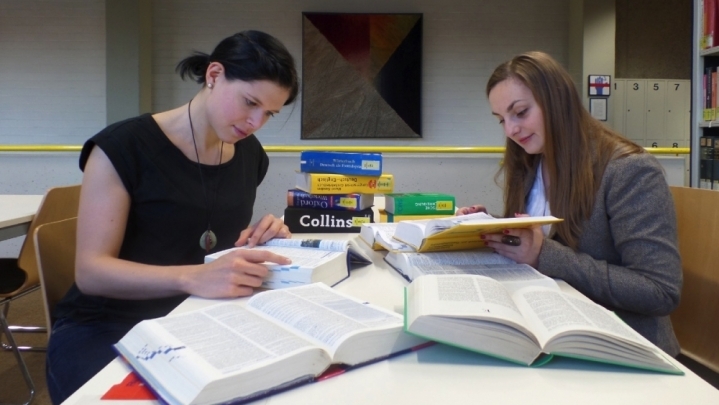 The European Master in Lexicography (EMLex) is an international Master’s degree programme (120 ECTS) that has been offered since 2009. Since 2016 the EMLex can be concluded with an Erasmus Mundus Joint Master Degree. It includes a joint summer semester abroad for all students in cooperation with many universities and institutions. Applications Deadline: The application deadline for an EMJMD scholarship in the 2019/20 intake expires on March 1, 2019. The application deadline for EMJMD students of the 2019/20 intake on a self-financing basis expires on 15 April 2019. Course Level: Scholarships are available to pursue two years Master degree programmes. Study Subject: Scholarships are awarded to study any of the courses offered by the universities. The scholarship also includes participation costs for the EMJMD-EMLex (see point 2 for details). These participation costs cover all additional costs which occur during your studies. They particularly include tuition fees, health insurance, library costs, administrative costs, cultural events. Note: If you study in your home country you will not receive a contribution to subsistence costs for the duration of your stay there. If you are a partner country student and study at Stellenbosch you will only receive the contribution to subsistence costs for the duration of three months of your stay. Number of Scholarships: EMLex provides 15 scholarships for the intake of 2019/20. These conditions apply to both Erasmus Mundus students with and without a scholarship (self-financing basis). or other relevant disciplines, subject to the consent of and the approval by the Consortium’s admission committee. If your HEI degree is still in progress, you may nevertheless submit an application. The restriction, in this case, will be that the HEI degree certificate is available before the start of the EMLex study course. Competences in textual reception that enable the students to understand texts in their field of studies and to take an active part in specialist discussions are absolutely necessary for a successful participation in the EMJMD EMLex master course. Instruction languages are English and German as lectures will always be held in one of these languages. Language skills must be proven by the respective language certificates. In your application, you have to document text production skills in one of the two instruction languages that correspond to at least level B2. At the begin of your studies, you have to have good text reception skills in both languages. Language certificates cannot be older than two years. No other documents than the above-mentioned will be accepted as evidence for the necessary language requirements. onSet-Englisch. This test can be taken at a licensed test centre in your country. onSet-Deutsch(former “OnDaF”). This test can be taken at a licensed test centre in your country. Fill out the application form on the computer and sign it by hand. Send the application form together with the following documents to emlex-erasmusmundus-at-fau.de. All documents have to be in PDF format. The file should not exceed 4 MB (if so you might have to zip the files). Explain the reasons why you wish to study the EMLex Master Programme, express your expectations and your own contribution. In addition, you should state what you plan to do with the EMLex master degree. Report your experiences with scientific or practical lexicography that you have already made and why you have an interest in lexicography. Explain your choice of the preferred home university (while your preferences will be taken into account as far as possible, the final assignment will be made to best fit your study needs). Answer the following question: Which lexicographic project would you like to realize in your home country if you had the chance to do so?